Well, well, what phone can we expect now? Blink and you missed your chance to pick up the 8GB Nexus 4 at a ridiculously low price, at least if you live in the U.S. The cheapest version of the Nexus phone is out of stock in the region, and according to Google (via The Verge), its absence is a forever sort of thing as it won't restock the handset. This could be a Bat Signal that the Nexus 5 will rappel into our lives sooner rather than later. Google last week dropped the price of the 8GB flavor to $199 (£159, AU$249) and the 16GB version to $249 (£199, AU$299). Both phones were originally selling for at $299 (£239, AU$349) and $349 (£279, AU$399), respectively. 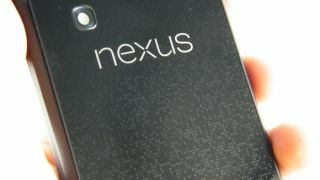 CNET UK reported the ship time for the 8GB Nexus 4 has grown from two to three days to a week, indicating that market could be nearing the end of its supply, too. Blips - short on words, great on value.